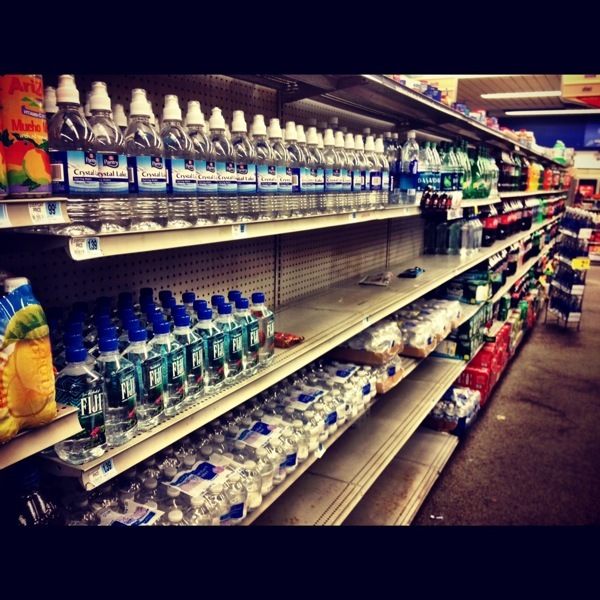 Note: Go to the home page or click the Hurricane Sandy tag for more recent posts. 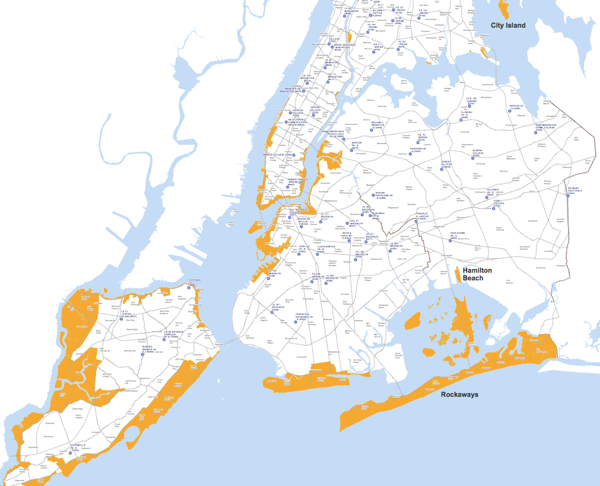 NYC Mayor Bloomberg said today that people living in the city’s low-lying areas — see zone A in the image above — should evacuate now. An interactive map from WNYC.org allows you to check your evacuation zone. You can also download a PDF of NYC.gov’s evacuation map here. NYC’s subways, busses, and commuter rail services will begin shutting down at 7 p.m. today. There could be heavy rain, strong winds, and flooding as early as tonight (Sunday) in costal areas, The New York Times reports. The hurricane is expected to make landfall late Monday. Manhattan: Rain beginning Sunday evening, peaking Monday evening and continuing through Thursday. Winds peaking between 45 and 50 mph, with gusts to 70 mph between Monday afternoon and Tuesday morning — up to 90 mph on the higher floors of skyscrapers. Storm surge between 5 and 8 feet in “Zone A,” especially in Battery Park and along the East Side. Storm surge may inundate subways and other critical infrastructure. Overview: Those living above the 10th floor in skyscrapers may want to find shelter in lower floors. Winds increase with height in a hurricane and could be significantly stronger than on ground level. Be cautious about sleeping near a window on Monday night. Do not walk outside on Monday evening, as there could be significant amounts of airborne debris flying around. Rain totals 4-8 inches. 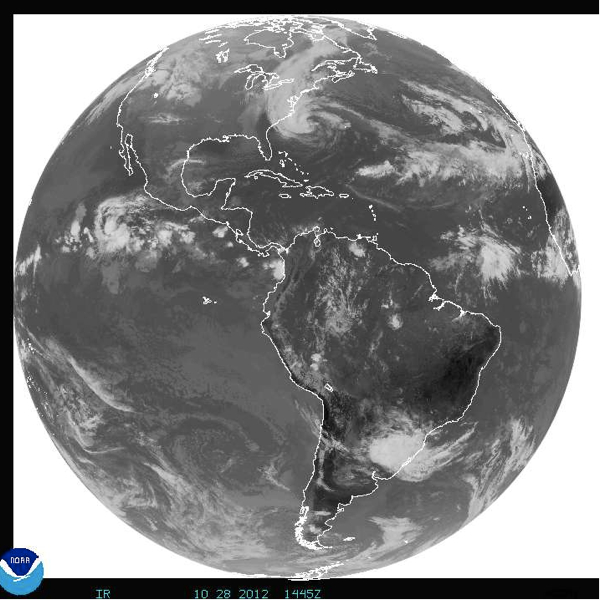 Above is a National Oceanic and Atmospheric Administration (NOAA) map of Hurricane Sandy seen from space. I mentioned, in my previous post, some Twitter feeds to follow. I’ve included them and added some others to this Hurricane Sandy NYC Twitter list. I’ll be adding to the list in the days ahead. 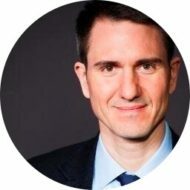 And as always, for updates, you can follow me on Twitter: @newley.